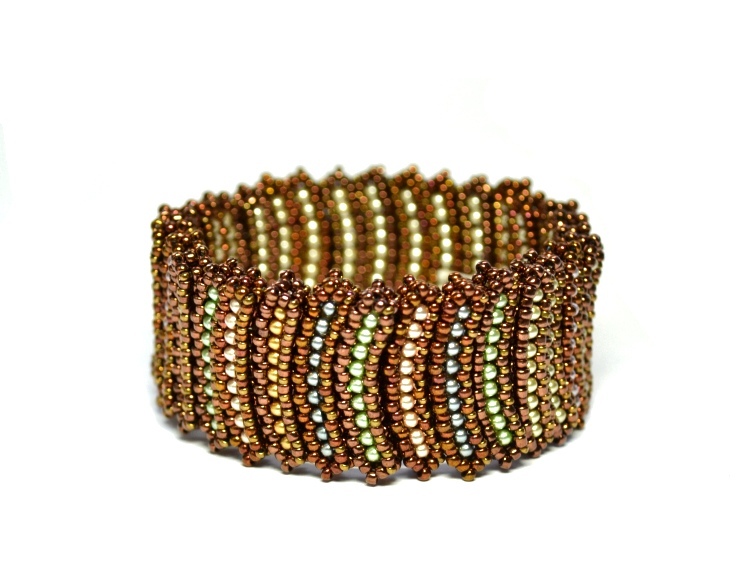 New: Instructions on how to bead this project are available here. 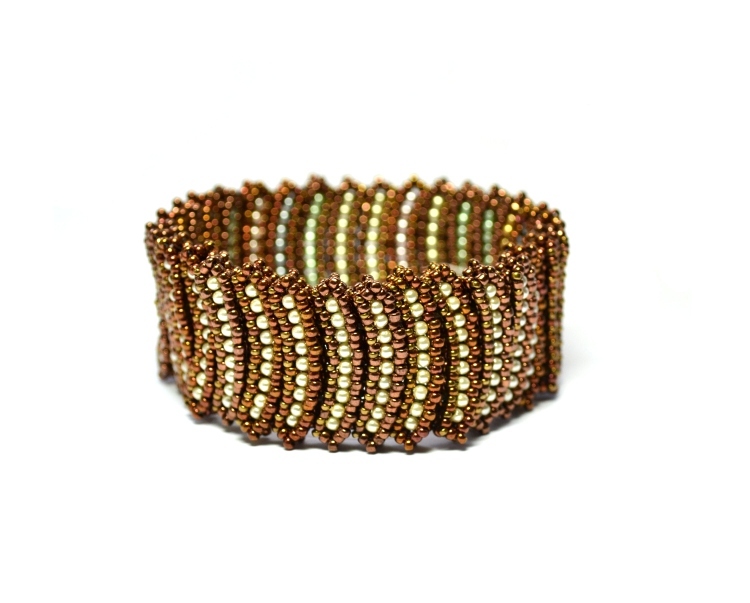 A curved variation on my original Sticks & Stones Bracelet. You can read more this series of work here.